Important Note: When finish following this tutorial you need to go to the Output Devices page and follow the AutoCAD to Epilog Laser procedures here. Note: You do NOT need to draw the faces of this building in AutoCAD or make a physical model of this building. 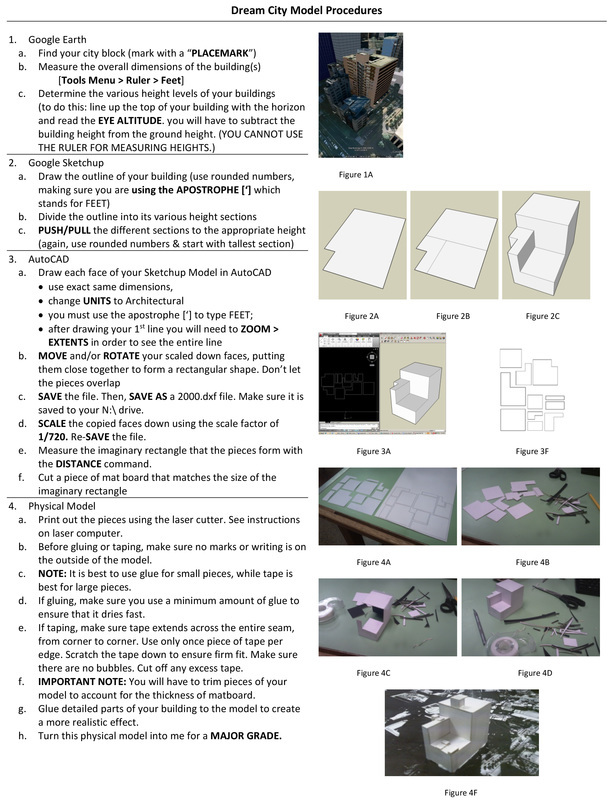 To add this project to your portfolio just make a picture of your SketchUp model by going to File > Export > 2D Graphic and then just inserting that picture into AutoCAD, Word, etc with your name and period number at the top of the page. Print it out, hole punch it, and put it in your portfolio to be graded. After completing the above activities, you now need to build 2 models on your own employing the same process you have learned above. 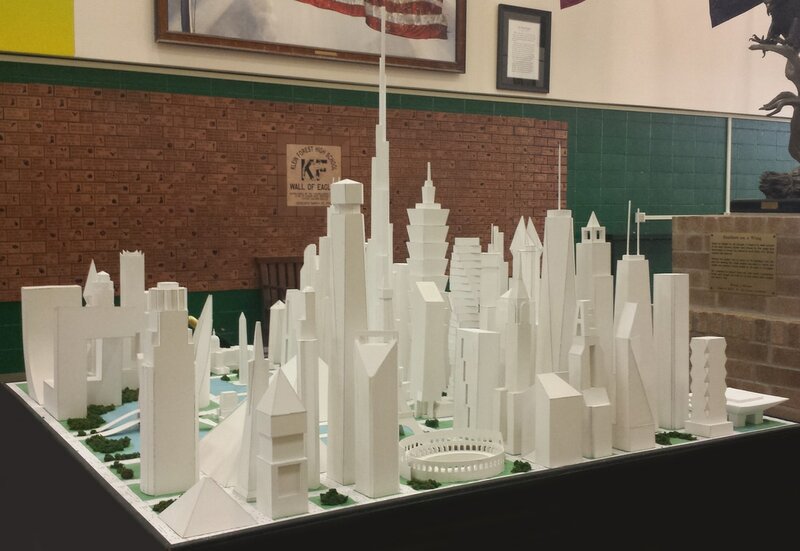 The 1st model will be a 1:720 scale model of an EXISTING FAMOUS LANDMARK. 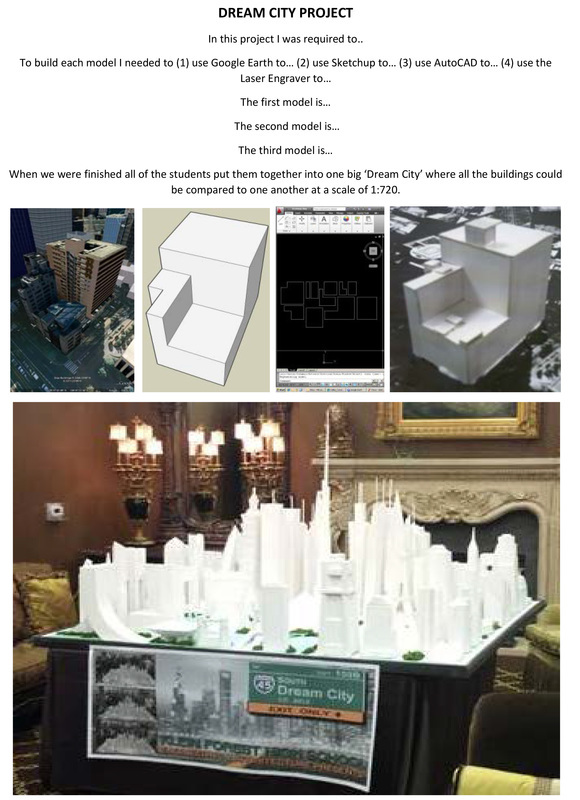 The 2nd model will be a 1:720 scale model of another existing famous landmark or an ORIGINAL DESIGN. If you choose to do an original design then the constraints of your building should be 180ft x 180ft x 1400ft.